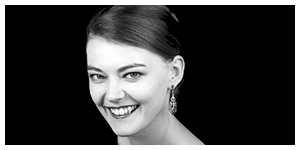 Based in Vancouver, soprano Catherine Campolin is comfortable in both opera and recital. She studied French as a child and is particularly fond of French repertoire. Her musical journey has spanned the country from Victoria to St. Andrews NB, to Toronto, to Edmonton. She received her formal training from the Vancouver Academy of Music and currently studies with mezzo-soprano, Sarah Fryer.